Feeling a bit under the weather last weekend I made the difficult decision to bow out of The Great Pumpkin Beer Fest. Instead, I decided to take it easy and just visit a few breweries on the peninsula and see what they have in store for autumn. After all, why let a little sniffle take me completely out of the game? mouthfeel, I detected a hint of toffee. The finish is lightly hopped and very enjoyable. Next stop was one of my favorite PNW breweries: Slippery Pig in Poulsbo. Now, I know this particular brewery is known for producing some crazy beers…but I think Hog Thai’d is their craziest one to date! And, at 9.5% ABV this baby packs a wallop. Ready for the ingredients? Glazed, smoked summer squash, toasted coconut, and zucchini. This beer starts out smoky and ends the same way. Hoppy, medium to full body with a touch of sweetness from the coconut, this baby would be worth a growler full! 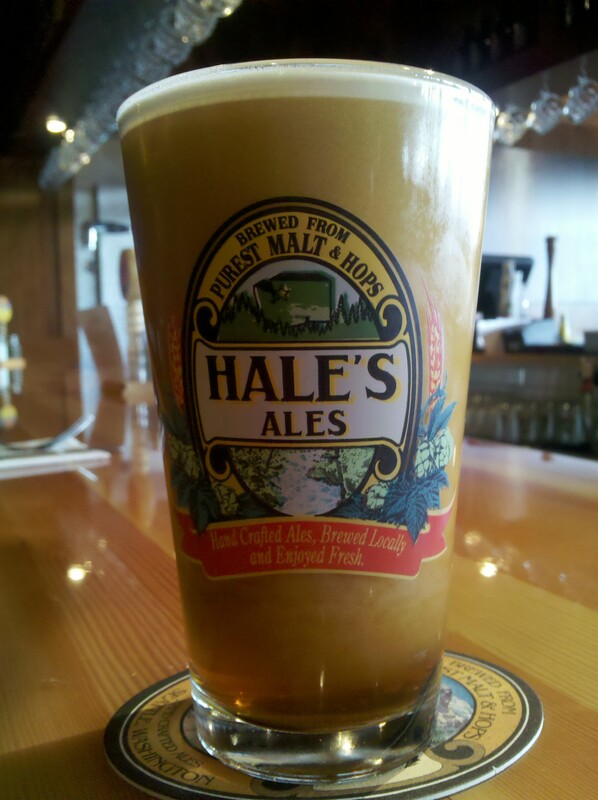 Also on tap was their Black Boar Hefe. I have never had a black hefeweizen. I’m talking this puppy is ink black. Black Boar is malty and full-bodied with a slightly sweet-tart finish. According to owner/brewer Dave, the wheat used in Black Boar is sautéed in a wok creating a lovely toasty element. Well done! 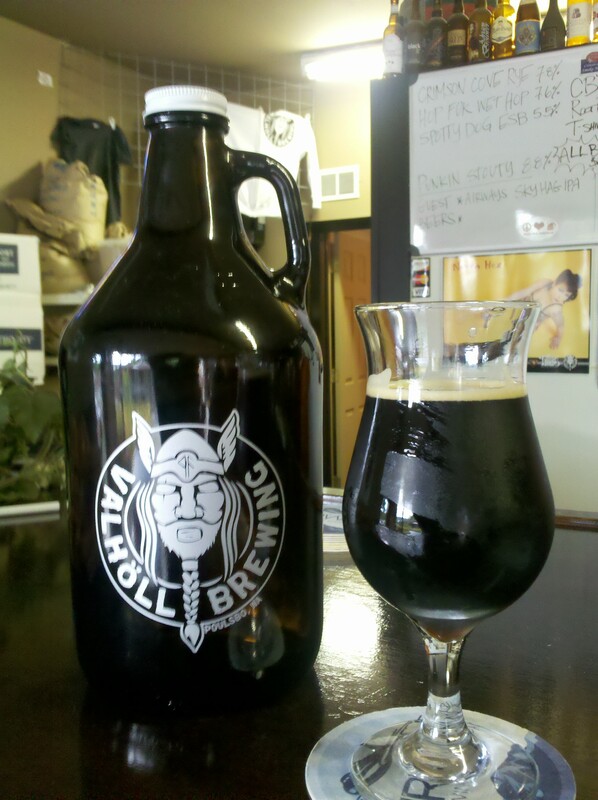 My last stop on my “Feeling A Bit Cruddy Tour” was Valhöll Brewing. I could hardly wait to try the brewery’s newest creation: Hop Fuk Wet Hop IPA. Beautiful Belgian lace floated elegantly above the amber-colored brew. Hop Fuk has a great hoppy aroma, starts out sweet and then pounds you in the face with an oily, full mouth feel. 7.6% ABV. I was very pleased. I finished up with the very dark, very pretty Punkin Stouty. Served in a goblet, this elegant looking brew is strong (8.8% ABV) but easy to drink. Brewed with real pumpkin and spices, Punkin Stouty is malty, full-bodied and carried notes of brown sugar. Great little sipper. ailed me. I guess beer really is the great “cure all. Information about Slippery Pig Brewery can be found on facebook. Dang Berger!!!! Next time I’m feeling under the weather, I’m jumpin on a flight to seattle to have some of those yummy sounding PNW Brews!!! Love your posts and descriptions of those cool beers. Gonna start a new batch of home brew this weekend!! Hope you do Paul! The guest room is all ready for you! Good luck on the next batch! Cheers! Burger.